Zoo officials said that three adult leopards and a cub were set free forcing them to close the zoo so that visitors who would have arrived during the day were not harmed. 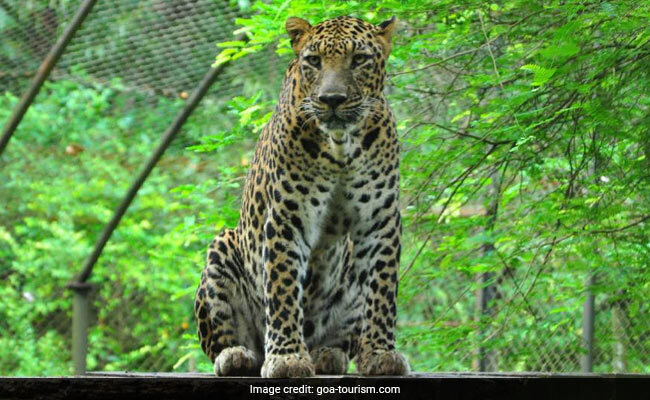 Panaji: A zoo situated inside the Bondla Wildlife Sanctuary had to be locked down for the day after an intruder set free four leopards from their enclosure in the early hours of today, zoo officials said. The officials said that three adult leopards and a cub were set free forcing them to close the zoo so that visitors who would have arrived during the day were not harmed. He said that the enclosure, the gate of which was broken by the intruder, had five leopards inside, including two cubs, at the time of the incident. When the incident came to light, authorities closed the zoo gates and managed to track down two adult leopards- Mandu and Anajli- and a third one- Julie- a little while later, they informed. The cub which was set free was found loitering close to the enclosure and was also brought back, officials said. Officials said that a police complaint had been filed over the incident. The zoo, 80 kilometres from here, would be open for visitors tomorrow, the official added.